Get ready to bloom with us. 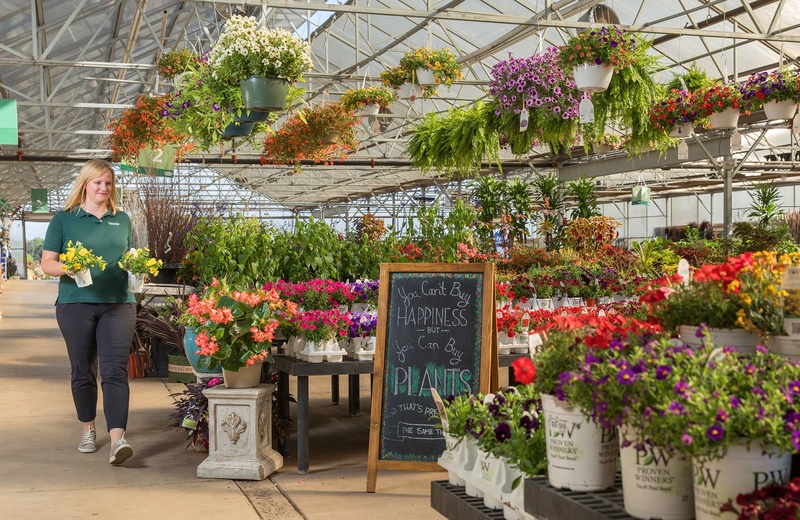 We offer Annuals, Perennials, Tropicals, Roses, Vegetables and Herbs, Trees and Shrubs, a selection of Custom Containers, materials for a Pond or Water Garden, and of course Bulbs, Seeds, and Starting supplies: everything you need for a beautiful garden. For your yard to flourish, we carry Bagged Goods & Sod, Firewood, Birdbaths & Benches, Pottery & Planters, Arbors & Trellises, Fertilizer & Garden Tools, and much more. We’ll make your outdoor retreat a reality. Here you’ll find patio furniture, cushions, umbrellas, grills & accessories, firepits, and hammocks: all the essentials for relaxation. You deserve a bathroom that pampers, and that’s why Wannemaker’s offers goods from Kohler, Bertch Bath, and Arizona Shower Door. Looking for a gift for a loved one, or a treat for yourself? We carry Candles, Mailboxes & House Plaques, Fairy Gardens, goods from Stonewall Kitchen and Darren Gygi Home Collection, and oh so many other charming gifts and decorations. Wannemaker’s is the local holiday hub, for kids from one to ninety-two. In our sleigh, we have Fresh Trees, Wreaths, Lights & Outdoor Decorations, Ornaments and Trim, and possibly a partridge in a pear tree. Growing Family Traditions For Over 50 Years. Explore the best nursery in downer’s grove. We have an incredible selection of diverse, robust beauty. A rose by any other name would smell as sweet, but it wouldn’t come from wannemaker’s. We’ve got over 170 varieties of vivid flowers. 90% of our plants are grown right here in illinois soil: no winter shock for our flora. We guarantee we’ve got the best options to landscape your lawn. We go all-in on trees and shrubs, so that you can make your own private getaway. We match horticultural knowledge with boundless creativity to pot your plant. Just try to contain your excitement. Wannemaker’s will help you grow edible delights. Whether you want to make a nutritious meal or a mojito is up to you. From a single seed, beauty springs forth. Come grow with us. There are few things as relaxing as flowing water in one’s own backyard. Surround yourself with serenity: a tranquil pond, filled with calming fish. ©2017 Wannemaker's | All rights reserved.